US officials have been discussing the prospect of Vice President Joe Biden visiting Northern Ireland, The Detail has learned. It is understood that no date has been confirmed, but it is believed that progress in the Haass talks would increase the likelihood of a top-level US arrival. A number of well-placed political sources have confirmed the Vice President is keen to visit, especially since taking on a new role for the US government monitoring the peace process, as was revealed in The Detail here. But while progress in the talks could increase the likelihood of an appearance by Mr Biden or a similarly high profile US figure – especially if it is thought this might help encourage any emerging process – a further downturn in the prospects of success in the talks could stall plans for a visit. The decision to put the peace process back on the White House radar followed deep concerns over the street violence and political friction that have dominated events in Northern Ireland over the last 12 months. Washington was shocked by the sharp rise in tension caused by the flags crisis of last year and so stepped up its own engagement and urged Stormont politicians to bolster the political process. The latest behind-the-scenes discussions underline the re-engagement of the US. While issues such as the international crisis over Syria dominate the global agenda, Washington has nevertheless responded to growing concerns over the peace process to ensure the political capital it invested in Northern Ireland over the last 20 years is protected. President Barack Obama visited Northern Ireland in June to attend the G8 conference in Co Fermanagh. He also took time to visit Belfast where he gave a speech that celebrated the successful ending of the Troubles, but also pressed politicians to tackle the sectarian divisions that continue to split Protestants and Catholics. 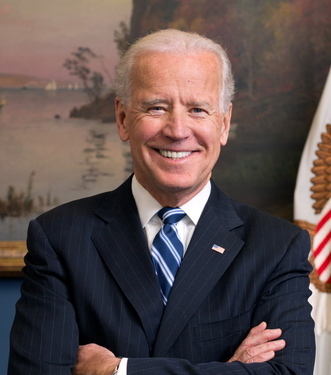 Vice President Biden, a seasoned political figure who has Irish-American connections, has been tipped as a possible Democratic contender for the 2016 presidential race – while another challenger, Hillary Clinton, is already closely linked to the Northern Ireland peace process and could also make a return trip. A major visit to these shores could be seen against the background of internal US politics, but it would be more accurate to see it in the context of the pledge made by President Obama to continue US support for the peace process. But officials will want to avoid a repeat of the embarrassing political scenes witnessed last December when Mrs Clinton, who was still US Secretary of State at the time, landed in Northern Ireland as violence erupted over restrictions placed on flying the Union flag at Belfast City Hall. Former US government envoy Richard Haass arrived in Northern Ireland on Tuesday to begin chairing talks aimed at brokering a deal on the contentious issues of parades, flags and emblems, plus dealing with the legacy of the Troubles. The main Stormont parties have assigned delegates to attend the discussions, but Dr Haass has also met a range of organisations including representatives of the Orange Order and the business community. Dr Haass says he is open to all possible ideas for solutions, including on dealing with the legacy of the Northern Ireland conflict, a point which he spelt out in answer to a question from The Detail, here. But the absence of a direct role for the British and Irish governments in the talks, and the approach of elections in Northern Ireland, has fuelled fears the negotiations may struggle to make progress beyond the parades issue. Some of those who met Dr Haass this week have been struck by the format of the process. The representatives of the main political parties will hold their first joint meeting with Dr Haass today. But to date Dr Haass has focused on holding separate discussions with politicians and interest groups, asking questions of delegates and requesting that they submit papers on their preferred solutions. Today he ends his initial trip to Northern Ireland and will return for a further week of evidence-gathering in October. It is only after that date, and having studied the written submissions delivered to his team, that he will prepare a set of proposals to circulate among the Stormont parties. But if the process does not at this stage match the intensive face-to-face style of negotiations conjured up by previous Northern Ireland political talks, it seems likely that pressure will come to bear closer to the deadline at the end of the year. Following the initial meetings with Dr Haass, the mood among political parties appears to be mixed, though there have been obvious signs of continuing divisions between the DUP and Sinn Féin. Dr Haass is acting as an independent chairman and is not representing the US government. But it is understood the White House is closely monitoring the talks and will be up-to-speed with the early indications of the political temperature between the rival Stormont parties. The current level of US engagement does not resemble the 1990s and the era of President Bill Clinton, when the White House was an intimate player in the efforts to get the peace process off the ground. But one political source said: “The US has stepped-up interest, and clearly wants to maintain that." A northern vote for the next President of Ireland?